Renting a temporary building from these guys was the perfect solution for our business. We were not in the position to purchase, and we weren’t sure how long we would needed the building for. Ian said we could always purchase it in the future, so for us this was the right commercial decision. Not only that, but Ian was flexible with the lease, perfect for us. 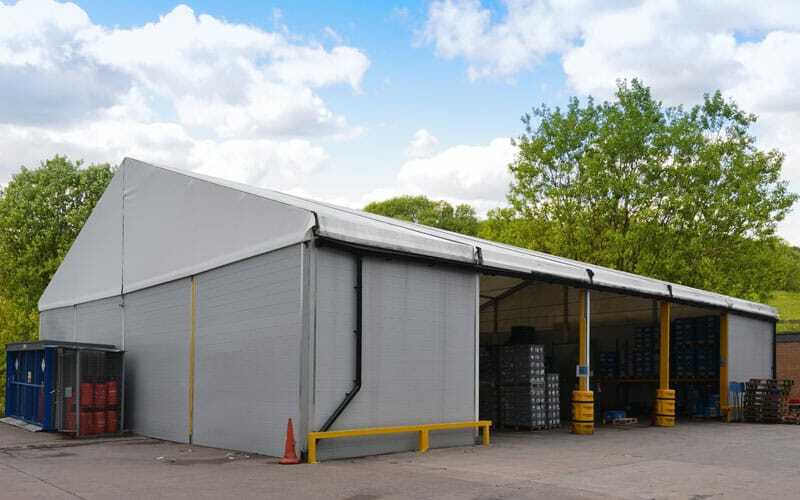 A temporary building enables your company to find a quick solution to gaining more warehouse space or retail space, transport cover or storage. The planning and building of a permanent structure can take months or years to complete, with hefty costs involved. 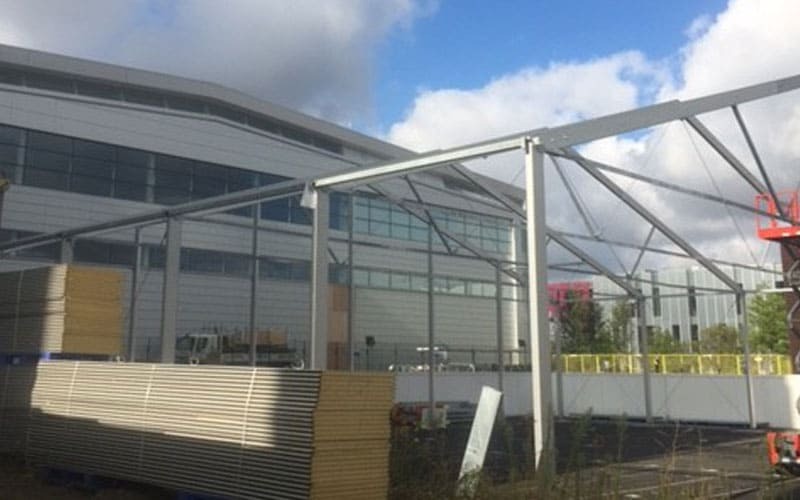 A temporary structure is a short-term solution and meets business requirements by providing the extra space that you need. Short-term demands such as an increase in operations, manufacturing or warehouse space can be stressful pressure for a business, especially if you don’t have the capital to plan a permanent structure. Building regulations and planning consent can also be an additional burden and may force a business to fork out huge costs when they don’t necessarily need to. Opting for a temporary building brings a quick and easy solution to any business and it’s sometimes the best option for a short-term requirement. It allows you to choose the most suitable structure appropriate to your business needs, without the added expenditure of a purchase or a permanent build. If your business would benefit from short-term storage because of increased business demands, then it makes perfect sense to rent a temporary building. Temp Re Build can offer flexible packages for hiring temporary buildings and warehouses. 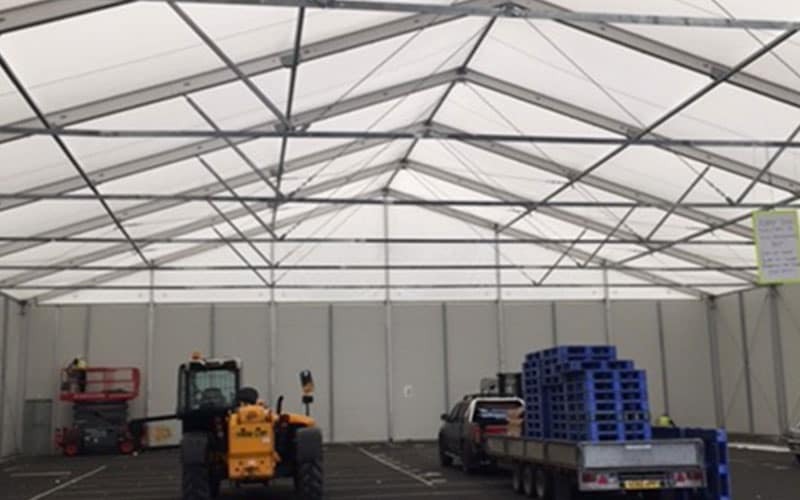 Whether you need to hire a temporary building short-term or long-term, our tailored renting packages are designed around your needs. We understand that business requirements can change at any time, so if you decide that you need your temporary building for a longer period or you might want to purchase it, then we can adjust your package. Once you have chosen your temporary building specification, we can set it up within a matter of days. Most businesses only approach us when they are bursting at the seams and need extra space immediately, so we understand that it’s important for us to act quickly to ensure that you can continue business as normal. Temporary buildings are an excellent alternative to planning a permanent building, ensuring you avoid the long process of planning consent. Our temporary buildings are designed to last for over 30 years. No matter how long-term or short-term you need a solution, we can advise you. Contact our expert team to discuss your requirements now.